A title inspired by a recent viewing of Jimmy Stewart and The Flight of the Phoenix . . . a photographic tribute inspired by one of my favorite birds: the Brown Pelican. In the late 19th century, plume hunters nearly wiped out pelicans and egrets, killing them for decorative feathers used in fashion hats. During World War I, over-fishing of sardines critically reduced this food source for the birds. Pelicans were further slaughtered by the thousands by fishermen. 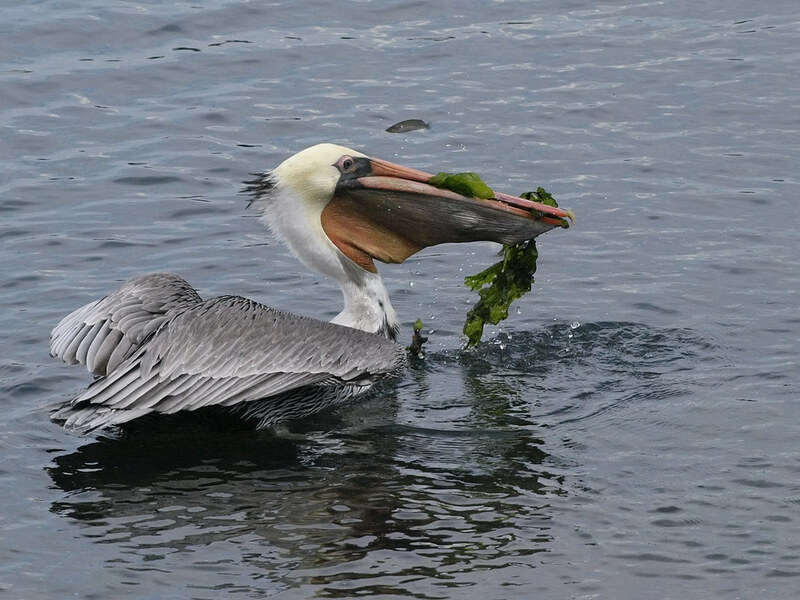 In the 1960s, persistent DDT in the food chain nearly decimated the last breeding pelicans off Southern California. And today, only an estimated 8000 breeding pairs remain. You can read a detailed history of pelican struggle and survival in the IBRRC’s article In Harm’s Way. Given the travails pelicans have faced for more than 100 years, I find it near miraculous to see hundreds off them fishing off the beach — as Hugh and I witnessed a few nights ago at Fort Funston. Their pterodactyl sihouettes are emblems of our natural past, almost anachronisms against the modern shadows of industrial cranes and skyscrapers. Their presence is, at once, a reminder of life’s restorative power and also its fragility. 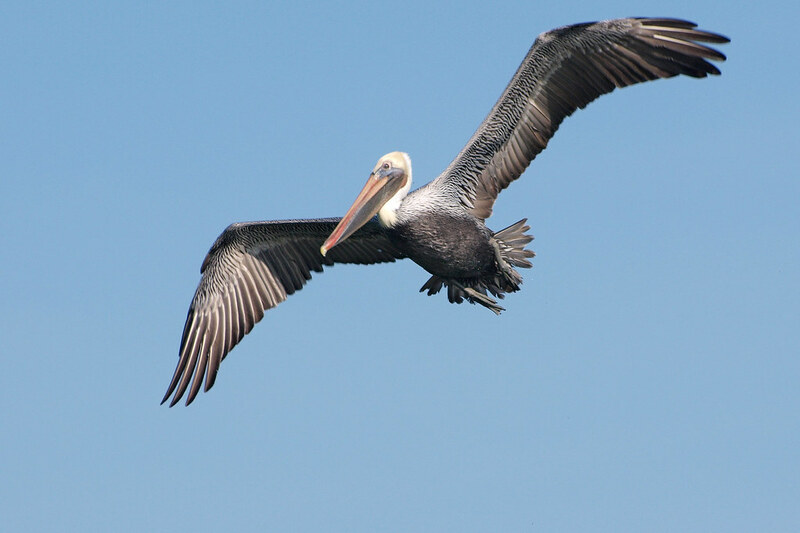 At its simplest, pelicans are just awesome. Here are a few images I’ve snapped of Brown Pelicans in action around California. 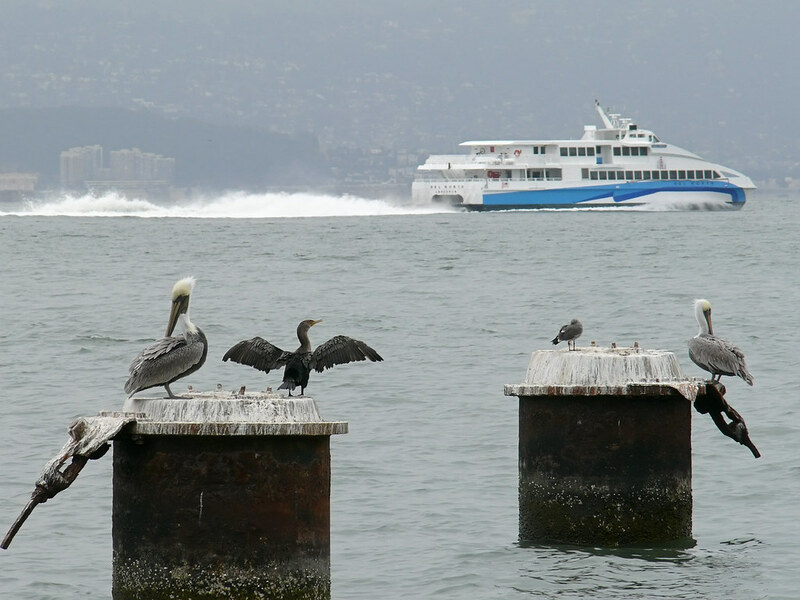 Pelicans hanging out with Cormorants off the shores of Tiburon in Marin County. In most areas where we find Brown Pelicans roosting around Northern California, we also find multitudes of Double-crested Cormorants — sometimes Pelagic and Brandt’s Cormorants off the ocean coasts. A somewhat-habituated Brown Pelican awaits the arrival of fishing boats, in anticipation of freebies. Great photography. I work at a state park in Florida and we are currently working on an interpretive display highlighting birds that fish in our estuary. Your picture “Pelican fishing” would be a perfect photo for this display. Any chance that you would be willing to give us permission to use this picture in our display? Of course we would acknowledge your photo credit on the display. Thank you for your consideration. Dear Mykl, thanks very much for the kind comment. I’m sending you an email in response to your inquiry. Much appreciated.